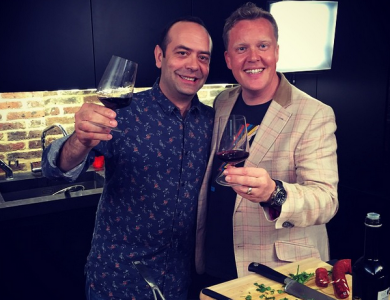 It was Saturday Kitchen with a twist at the weekend! 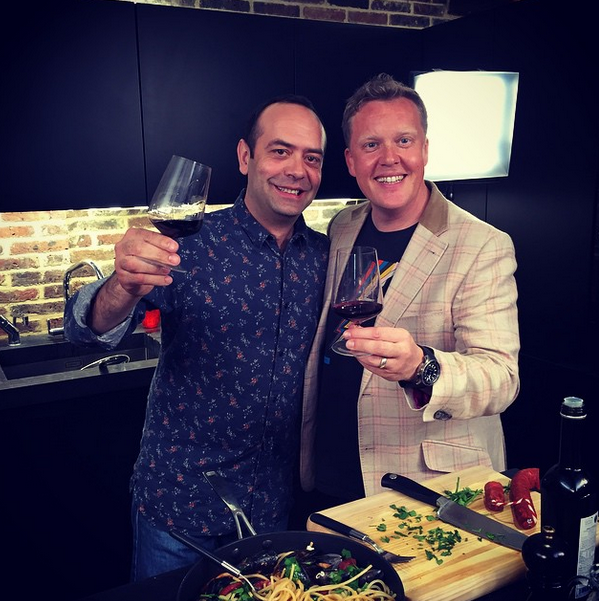 A Comic Relief special saw Olly and host Matt Tebbutt joined in the kitchen by a stellar line-up of celebrity guests and chefs. 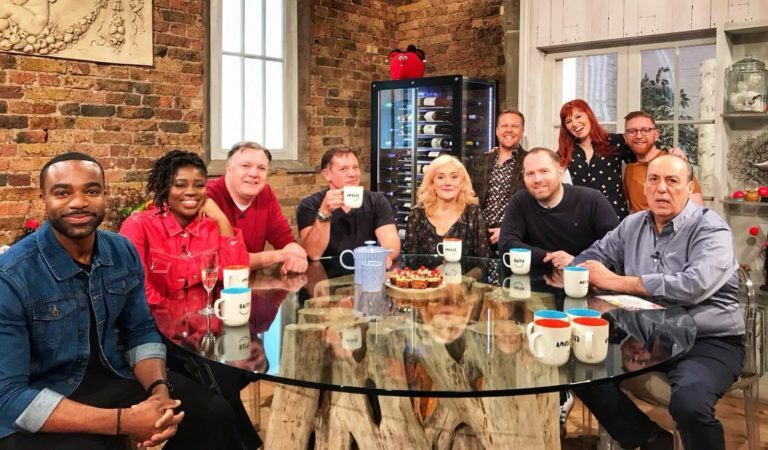 Chefs Gennaro Contaldo, Bryn Williams and Paul A Young cooked up some amazing dishes for Clara Amfo, Ed Balls, Ore Oduba and Sophie Thompson. They were helped by Saturday Kitchen regular Jane Parkinson and joined by Comic Relief co-founder Richard Curtis and Emma Freud who revealed the final amount raised so far for Comic Relief 2019: A massive £63,938,072! Here are the drinks matches in case you missed them! With Bryn’s Fried chicken with fluffy American pancakes, streaky bacon and maple syrup, Olly paired Bloody Bens, £13. With Gennaro’s Steak Florentine, Olly paired La Casetta Valpolicella Superiore Ripasso 2016, (from £14.99) from Majestic. With Bryn’s Wild sea bass with ginger mussels, Olly paired Cazcabel Tequila Blanco, from £22, Widely Available. There’s still time to donate to Comic Relief here. Watch the episode on iplayer here and catch Olly back in the studio this Saturday 23rd March.